17, Mar Updated the theme and presenter of workshop. 6, Mar. Add to 3 days schedule into Programs. 3, Mar. Add to students resistration fee. 3000 yen. 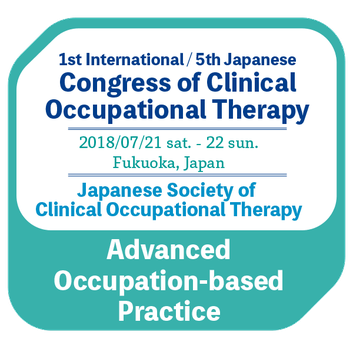 The Japanese Society of Clinical Occupational therapy is a professional community of occupational therapist based on occupation-centered, occupation-based, occupation-focused practice. Our mission is to extend and establish our scientific knowledge and practice.